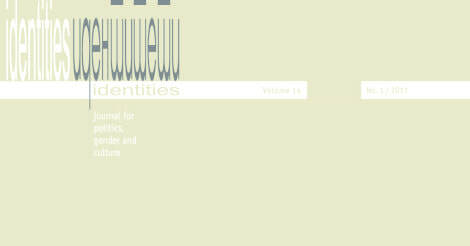 ISSHS is proud to announce the issuing of the 14th volume of Identities: Journal for Gender, Politics and Culture. This issue is supported by the Rosa Luxemburg Stiftung Southeast Europe and is part of the ISSHS project School of Politics and Critique 2017. The topic of the issue is "New Ideas in Marxist (Critique of) Political Economy: Theoretical and Internationalist Perspectives." Identities, Vol.14, No. 1 is available in print and online.